It was inevitable, I suppose, that I would be coming up with a knitwear design at some point. I just didn’t expect it to come sooner than I expected! The Yarn Club needed a design for the second instalment and I thought I had it nailed down months ago. However, when I sent out the pattern for testing, it came back with more erratas than I know what to do with. So I went back to square 3 – you know because square 1 is dyeing the yarn, square 2 is decicing on the club extras and square 3, as everyone knows, is the pattern for the kit. I decided that I would design something. And I must have been drunk from lack of sleep or pumped up with more caffeine than was legal. The club’s Mar/Apr colour and pattern were inspired by the “Bangkero Festival” (or festival of boatmen) which is held in the first week of March every year in the town of Pagsanjan, Laguna in the Philippines. Bangkero is a Tagalog term given to those whose job provides a means of transportation on the river using a “bangka” (boat). The festival is inspired by and dedicated to all the bangkeros (boatmen) in Pagsanjan. These boatmen serve as tour guides who steer tourists’ boats along the rapid stream of the world-famous Pagsanjan Falls, paddling and lifting the boats through rough and sharp rocks, carrying people up against the strong river current at breath-taking speeds in a two-hour boatride from the Bumbungan River or the Balanac River until reaching the scenic view of the majestic waterfall. 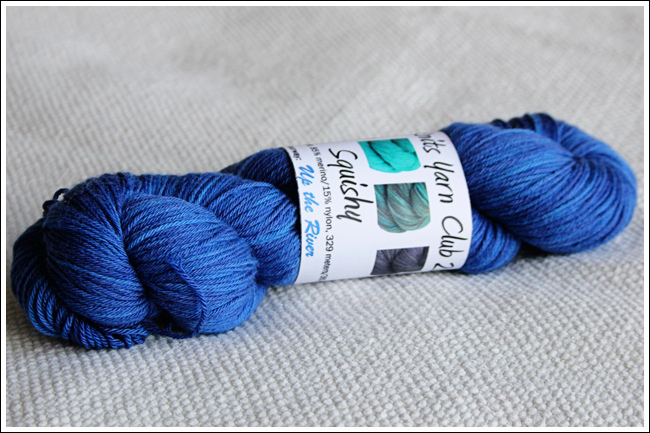 This month’s colourway is inspired by the surroundings of the Pagsanjan Falls, the clear blue skies of a Philippine summer and the dark rocks that the boatmen expertly maneuver in and out of in their boats. It is aptly called “Up the River”. It is a blend of muted turquoise and ultramarine over darker flag blue. It has very subtle variegation in most skeins but since it is hand-dyed no two skeins are exactly alike. 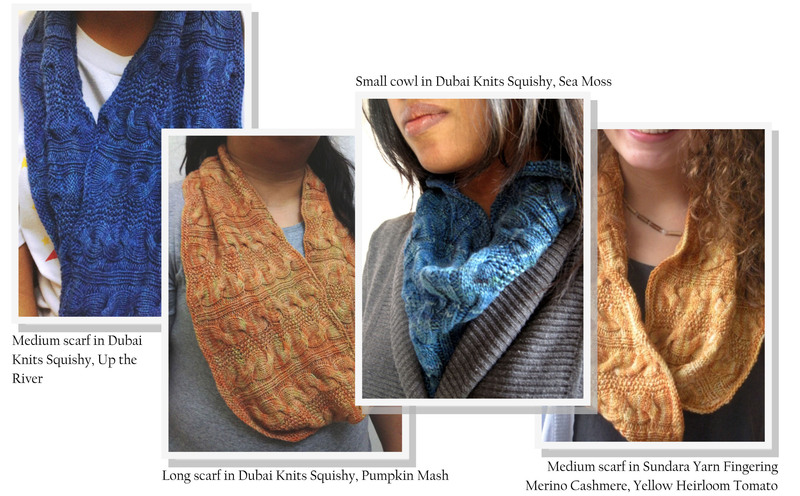 Boatride is an infinity scarf/cowl which I hope you will find simple yet highly wearable. Not to mention something that will not bore you out of your wits! 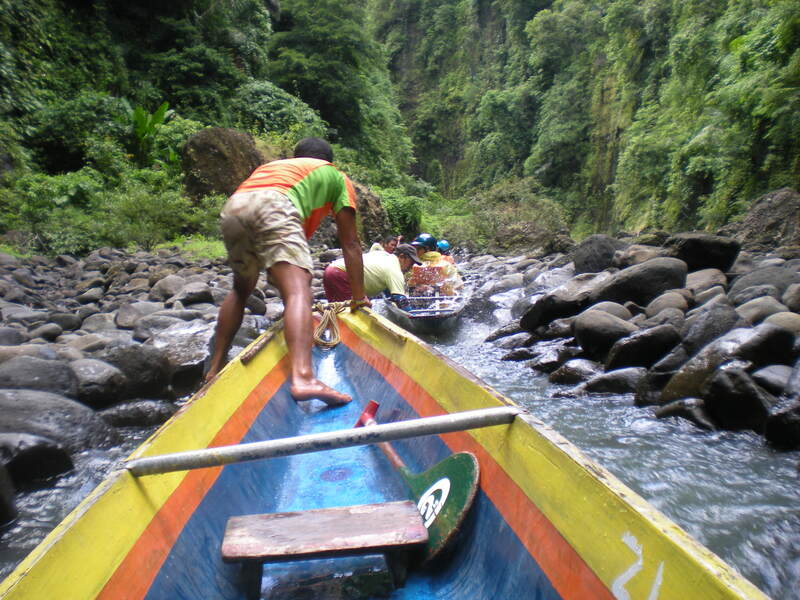 The winding cables mimic the movement of the boats as they journey up the river towards the Pagsanjan Falls. The central seed stitch panel depicts the rocky riverbed that makes the journey just that little bit more exciting and interesting! 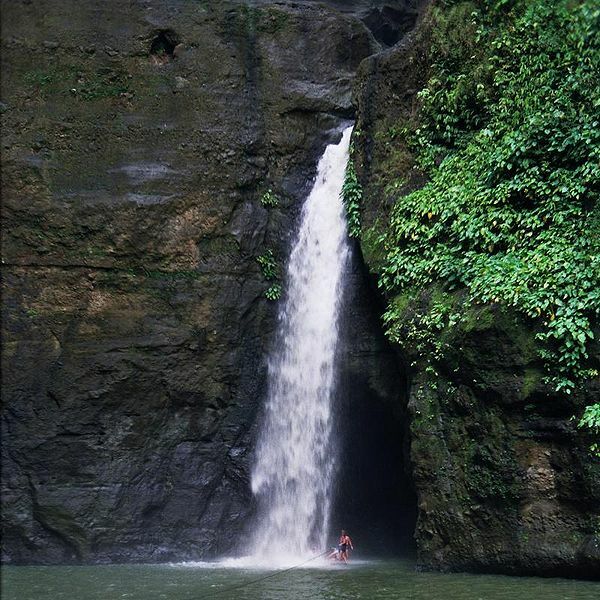 The columns of ribbing represent the majestic Pagsanjan Falls itself. Love it Jhocy! Brilliant fit of the pattern to the inspiration! and the yarn colour just seals it. I love everything about this times club kit and I am enjoying knitting my Boatride:) Your first pattern, BRAVO!! !